CARROLL COUNTY, Md. 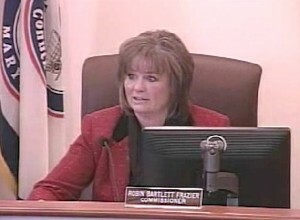 — A county commissioner in Maryland is refusing to stop praying in Jesus’ name despite a court order placing an injunction on sectarian prayers during government meetings. Carroll County Commissioner Robin Bartlett Frazier says that she won’t stop using the name of Jesus even if it means being placed behind bars. “[Commissioners must not invoke] the name of a specific deity associated with any specific faith or belief,” Quarles ruled. She then read a prayer that she outlined was written by George Washington, although some claim that Washington is not the author of the prayer, which was found in a chest owned by one of his early descendants. The American Humanist Association is now threatening to seek contempt charges if Frazier or others with the commission continue to pray in the name of Jesus.